2015 was an excellent year in film and this belated list will chronicle the best of it. Many potential inclusions have yet to have been seen, therefore this is not definitive. Enjoy! Having never seen a Mad Max before watching this (I’ve since watched the original trilogy), this was unlike anything I’d ever viewed in a cinema. The absolute craziness of the directing and story line is balanced with strong performances and incredible action scenes in what is essentially a two hour car chase. Despite this, the exhilarating momentum of the film means that you feel like it has barely begun by the time it has ended. Highly Recommended. honoured the bravery and dedication of the British Suffragettes. Set in 1912, this engrossing film chronicles a young laundress’ journey from timid housewife to militant Suffragette in the face of brutal patriarchy. Suffragette is beautifully executed in its period art design, sensitive handling of emotional scenes and absorbing script. 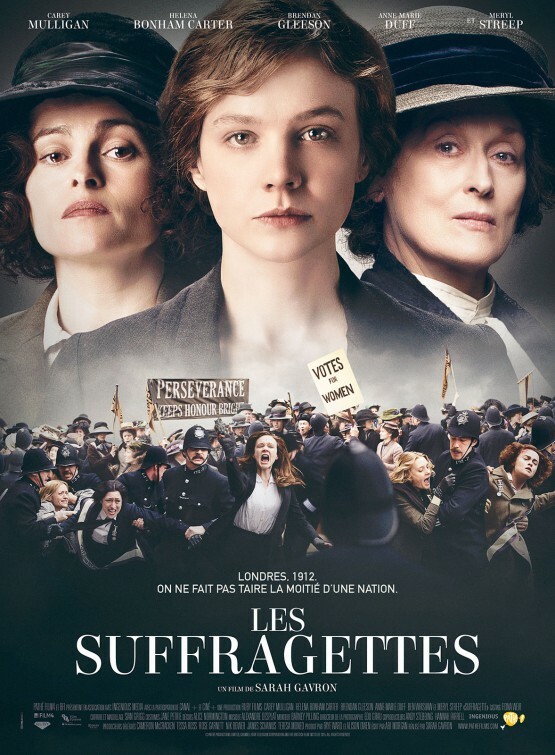 A gripping film that explores both the family dynamic and political landscape of the time, Suffragette is both harrowing and beautiful. I’m going to be honest- before 2015 I’d never seen a Star Wars movie. However, when I heard a new one was coming out, I bit the bullet and watched the entire series. After seeing the latest addition I was very impressed with it (well, more impressed than I was with the prequels at least). 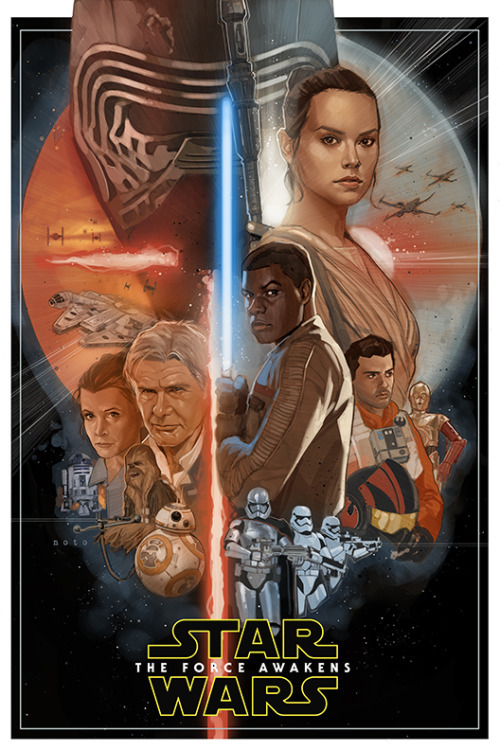 The special effects and the performances were much better than previous films, and I especially enjoyed the characters of Finn and Rey. Despite its predictability and clear similarities to A New Hope, The Force Awakens is a riveting, enjoyable edge-of-your-seat journey, well made and directed. Despite its eclectic range of styles (both black comedy and Gothic tragedy), The Dressmaker is a hysterically theatrical lark and one of the best Australian films I’ve ever seen. The story provides a hilariously caricature depiction of small-town Australia and an amusing story-line. Performances were excellent; from Weaving’s flamboyant Sergeant to Hemsworth’s striking larrikin, from Snook’s sassy Trudy to Davis’ hilariously cranky recluse. Winslet thrived as tenaciously brazen femme fatale Tilly, whose homecoming unleashes revenge upon the callously petty townspeople. Don’t miss! The Imitation game is a highly entertaining dramatisation of the life of Alan Turing and his invention of the WWII Enigma machine. Although the writer stretches his creative license quite a bit, its still a very interesting look into the life of a previously unknown man. The non-linear plot switches between Turing’s schooldays, his time at Bletchley Park and his final days maintaining audience interest and engagement. Cumberbatch and Knightley give exceptional lead performances and, accompanied by a beautiful musical score, Tyldum’s historical biopic is engrossing and poignant. Sim’s film about a dying Cabbies final journey is bitterly touching and at times amusing. It follows Rex (Michael Caton), a lonely Cab Driver with stomach cancer, decides to undertake his last drive towards the newly approved euthanasia laws of NT. The casting and performances are very well done- Caton’s hollow face tells more in one close-up frame than a page of dialogue, Weaver is good as the unlikeable doctor with ulterior motives and Lawford’s loud mouthed neighbour dominates the screen. Mark Coles Smith oozes charisma as confident, yet conflicted, blackfella Tilly, dreaming of the footy big leagues. A moving film about confronting your mortality that proves “Life is a journey, not a destination”. Garland’s directorial debut is a gripping science-fiction thriller that leaves the viewer stunned and uneasy. In this mesmerising film, A computer programmer (a naive Domnhall Gleeson), wins a trip to visit his genius CEO’s (a repulsive Oscar Isaac) research facility and test the humanity of his latest Artificially Intelligent robot (the striking Alicia Vikander). As the film slowly progresses, the façade of hospitality unravels and dark secrets begin to emerge. This brilliantly unnerving psychological thriller keeps you on edge in an insular world where nothing is as it seems. The TV-Movie adaption of Roald Dahl’s eccentric novel is the most charming film you’ll ever see. 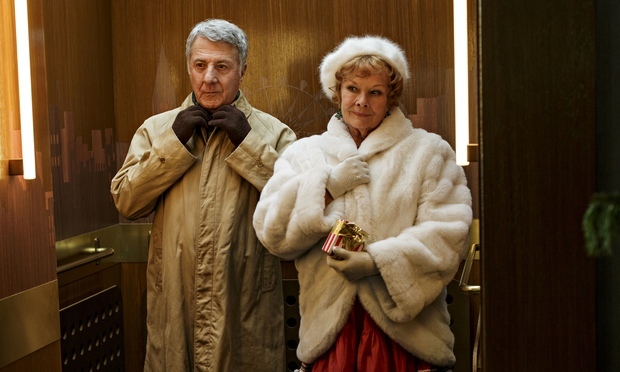 Esio Trot is a beautiful story about a lonely bachelor, Mr Hoppy (Dustin Hoffman) who’s helplessly in love with lady in the apartment below Mrs Silver (Judi Dench). Their only conversation is from their balconies and it is here that Mr Hoppy discovers that it’s Mrs Silver’s only wish for her tortoise, Alfie, to grow much larger. Mr Hoppy soon devises a plan so ridiculous only Dahl could’ve thought of it- He buys over 100 tortoises of various sizes, designs a ‘turtle-transportation device’ and swaps the turtles off her balcony regularly. Meanwhile Mrs Silver is religiously reciting what she believes is an African Tortoise chant (repeating ‘Esio Trot’- Tortoise backwards!) while marveling at its effectiveness. This delightful story is narrated with enthusiasm by James Corden. Esio Trot is the most joyful love story I’ve ever seen and a lovely, light-hearted frolic. Iñárritu’s pretentious film about an Actor haunted by his past glories is magnificently produced but a bit too much at times. Despite this, the plot and excellent performances (led by angsty Michael Keaton) propel the film as Riggan attempts to reclaim his past glory by directing and starring in a Broadway play. Even with Keaton’s remarkable portrayal, the stand out performance was Emma Stone as the feisty post-rehab daughter, Sam. Watching Birdman was similar an experience to watching Life of Pi, an interesting creative experience- just not a film you could watch on repeat. The unique story line, powerful performances, and technically exceptional editing, combine to make Birdman a nevertheless unmissable film. Pixar’s animated entry into child psychology is an intelligent yet lovely film about a girl coming to terms with her emotions. When Riley’s family uproots and moves across cities, she must cope wither new life, aided by her five emotions in ‘Headspace’, Joy, Sadness, Fear, Anger and Disgust. The film centres on the activities of ‘Headspace’ and how the emotions’ attempt to help Riley through her inner turmoil ends up making things worse. The voice talents of Amy Poehler, Mindy Kaling, Bill Hader, Lewis Black and Phyllis Smith expressively nail the personality of their relevant emotion. The writing is witty and explores mature themes in a simple, accessible way. 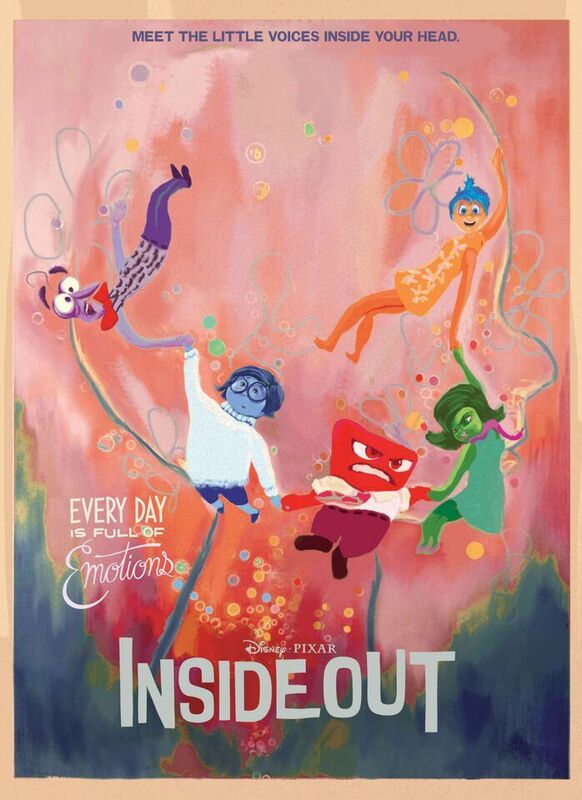 Inside Out, although not a ‘Pixar Classic’ like Monsters Inc. and Finding Nemo, is a touching and mature story that can be enjoyed by children and adults alike. So there’s my list! Honourable mentions go to Foxcatcher, Me and Earl and the Dying Girl, Cinderella, and American Sniper. Dishonourable mentions go to Pitch Perfect 2, Paper Towns, Pan, and Into the Woods, which together make up the worst films I saw this year. The list is by no means incomplete though, among those I am yet to see is is Sicario, A Pigeon Sat on a Branch Reflecting on Existence, Amy, and The Martian. What do you think of my list? What did I miss?- Let me know in the comments! I’ve only seen Mad Max and Star Wars, but the other films look great, too. You should look into the other Mad Max films, especially The Road Warrior, which is the best of the three, and the most similar to Fury Road. Great list! Of the movies you haven’t seen yet, I would highly recommend both sicario and the Martian. They were two of my favorite movies of last year. Believe me, even if you had seen a previous Mad Max movie, Fury Road still would have been unlike anything you had seen. In my view, I would take” 50 First Dates” off your hit list and put Ben Hur in instead. This was the inspiration for Gladiator, especially the Chariot Race. I think Me and Earl would have gotten a higher spot but I’ve only seen half the movie haha! Thanks for commenting. Dressmaker and Last Cab to Darwin were my picks. This has nothing to do with the Australian content but I found them very entertaining movies about believable characters.. Now Jo you are going to say that Mad Max is Australian too – but over the top.. too much for an old woman. You’re not the only one! El and Dad thought it was absolute rubbish haha. Yes Mum said that The Dressmaker was a very real portrayal of rural small towns. All solid choices Jo. I remember taking friends to see Birdman on NYE. We came out and couldn’t decide if we liked it or not. Yet the more I thought about it over the next few days, the more I recalled different scenes and how impressed I was by them. In the end I’ve really come to love it. Check out Sicario as you intend and I liked Trainwreck too. Since you haven’t seen the Mad Max trilogy with Mel Gibson I will recommend Mad Max 2 although it is more violent than Fury Road. I have since seen the whole Mad Max trilogy, train-wreck was ok but not great and i agree that Birdman has that effect on people! I am too undecided hence why it is both in my list and near the bottom of it. This was fun to read! I definitely affirm the notion that you should check out Sicario. It is nearly the end of 2016, and I still have not seen all these films (LOL). Of those I did see, Imitation Game was my favorite. Since I am a classic movie buff, your review of Birdman brought to mind Birdman of Alcatraz (1962) w/ Burt Lancaster. You might check it out sometime. Happy viewing! Yes i might! Thanks for your recommendation.